By Peter Anderson Leave a Comment - The content of this website often contains affiliate links and I may be compensated if you buy through those links (at no cost to you!). Learn more about how we make money. Last edited March 17, 2019 . My wife and I attend Evergreen Community Church here in Bloomington, MN. One of our pastors, Spencer Bernard, recently gave a sermon on a Sunday that discussed a biblical perspective on money. I found that the message was challenging, and that it made a lot of great points about how people view money, how that is opposed to a biblical view of money, and how money far too often tries to take the place of God. The message makes a lot of great points. Here are a few of them that I found compelling. Money tugs at our heart strings – we want to feel important by buying symbols of prestige, like clothing, fast cars andother status symbols. Those things are nice for a season, but they only give a fleeting feeling. They don't give us anything permanent. A lie we are told is “If you have more money, you will feel more secure”. That just isn't the case. Quite often you'll find that the more you have, the more you worry about the things you have, and about others trying to take it from you. True security can only be found in Christ. Wealth won't help you when you die, in fact as Christ says, it is harder for a rich man to enter the kingdom of God, than for a camel to go through the eye of a needle. Notice, he doesn't say it's impossible, but that it is hard. People expect money to do for them, what only God can do. They want it to give them peace of mind and security, but it escapes them until they find Christ. Money acts as a cheap replacement for God, an idol that quickly becomes tarnished. Money can't give us what we need. We need to find peace, security and a salvation in God, not money. Over the last few years we've seen just how unreliable money can be. Things we thought were sure things in the past like real estate, the stock market and other things were shown to be walking on paper thin membranes, ready to drop off a cliff. Money, real estate and other things have been shown to be shaky and unreliable. On the other hand God is always reliable and unchanging. Holy and loving. We can trust in Him, but not money. We should be rich in good works and generous to those in need! Store your treasures up in heaven! While we need to put all of our trust in God, and not in money – at the same time it's important that we be good stewards of what he's given us. 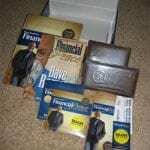 Evergreen, as well as other churches across the country are now offering a personal finance seminar from Dave Ramsey, “Financial Peace University“, helping people to take charge of their financial lives so that they can be good stewards. Check out our review of Financial Peace University here. 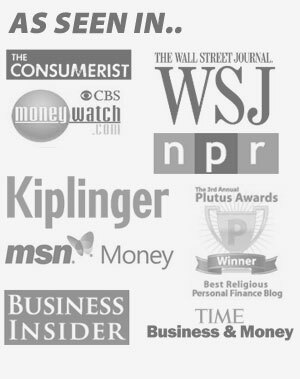 Previous Post: Bible Money Matters Blog Is Now Live On The Internet! Stay Tuned!